Socotra Archipelago is like a paradise on Earth. Beacause of virgin nature and beautiful sand beaches. The biggest island from archipelago is Socotra and we are ready to offer you all kind of activities to make your trip on Socotra unforgettable. We are flexible to organize the Socotra Tour for number of days regarding to your requests and date of arrival and departure and to prepare an indivudual tour according to your requirements. Socotra is more than paradise on Earth and you can get know the Island in amazing 5 days. From pristine Dihamri beach through Hoq cave with ancient writings to Qalansiya on Western part of Island. Detwah lagoon is one of the most beautiful lagoons in the world and you will get a chance to see it. Then you can climb on the sand dunes or just relax on the beach. Biodiversity of Island is breathtaking and dragoon trees will suround you. 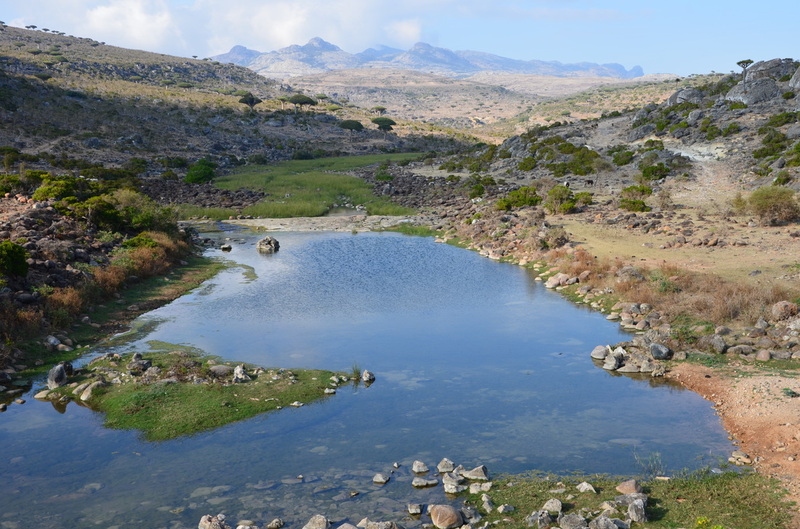 Socotra Island is also excellent destination for trekking. From coastal plains to Haghier Mountains, which reach a height of 1,525 meter. During your trekking tour you will be able to see many of 900 known plant species, 30% of them are endemic or over than 140 species of birds, mammals, reptiles, turtles or arthropods and many more. On the Island is couple of trekking routes but with local guides you might see and enjoy much more. Socotra waters offer a great chance for divers from all over the world. The only other place for diving in Yemen is Kamaran Island in Hodaydah Governorate. Diving center on Socotra Island is located in Dihamri Marine Protected Area. Socotra Archipelago hides under surface of Arab Sea shipwrecks and hundreds of spieces of fishes, coral reefs. Take a week off and discover the hidden secrets. Tours on Socotra Island is fully flexible to your requests. We are ready to prepare for you the best program according to your requests. Please feel free to contact us anytime.